It was 1999, Steve Lee was getting married. Instead of the usual stag weekend activities he decided to visit Brecon in Wales. Why? 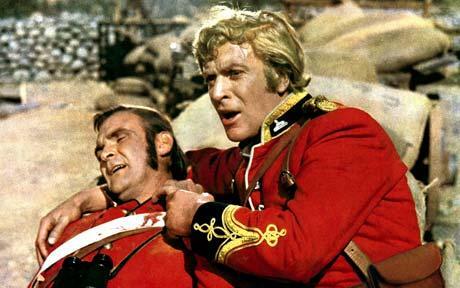 He always had a fascination of the film Zulu, and the South Wales Borderers museum was in Brecon. So Steve, with family members and friend Pete Hill, went to the bright lights of Brecon. At the museum they weren’t disappointed with the story, the displays and collection of VC’s. In passing it was mentioned there were Victoria Cross recipients buried in the locality. So blindly they started tracing the final resting place of the one thousand three hundred and fifty one (since grown) Victoria Cross recipients. Life became easier when a few months after the quest started, David Harvey, brought out “Monuments To Courage” a two volume lifetimes work. That was invaluable as a guide and inspiration for the project. So the only way forward now is, to put our endeavours on a website. It’s for the benefit of anybody wanting information on how to visit the memorials or would like pictures for books, projects or just to collect. Please contact us.